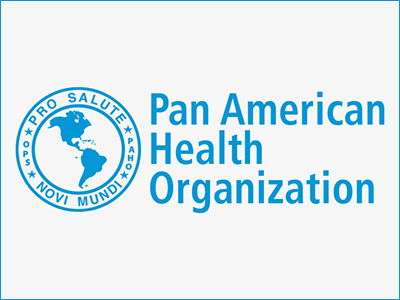 Ministers of Health from the Americas, met at the Pan American Health Organization (PAHO) Headquarters in Washington, DC, USA, from September 23 to 27, for the 56th. Directing Council, where they discussed plans to reduce the shortage in health personnel, lower the burden of cervical cancer, and improve the health of women and adolescents, among other health issues . “There is a shortfall of almost 800,000 Health Workers in the Americas” according to a release by PAHO. This year’s Directing Council decided on a plan which seeks to expand and access Health Care by improving the organizing of the health system and its working conditions offered, especially at the first level of care, and in rural and undeserved areas in member states. Speaking about the work-in-progress on the renovation of a room at the Maternity Unit of the Georgetown Public Hospital, and while a specific date was not given, the minister said that it was coming along. The plan is to have one of the Delivery Rooms at the Georgetown Public Hospital Maternity Unit, “Father Friendly”, where fathers will be permitted to be present during the Delivery process of their babies. While at the PAHO Headquarters in Washington, DC, Minister Volda Lawrence sat in on a number of intense sessions from last Sunday until last Friday – October 23 to, 27, 2018. Also present at that 56th Directing Council, were representatives from Cuba, a country which had left The Organization of American States (OAS) and PAHO/WHO, some decades ago. That came about when in 1962, President Fidel Castro addressed a large public meeting in Havana, and referred to the OAS as, “The Yankee Ministry of Colonies and a Military Bloc against the people of Latin America.” That sent political shock waves around the entire Region, since the OAS which was founded in 1947, is the oldest and one of the strongest and most prestigious organizations in the Western Hemisphere. There is the saying, “No man is an Island”, and after decades of slow improved diplomatic relations, the island state of Cuba has returned to the OAS and to PAHO/WHO. Guyana has always maintained diplomatic and working relations with Cuba since its Independence. Many Guyanese doctors, for example, have been trained in Cuba; Dr. George Norton and Dr. Jennifer Westford among them. Many Cuban doctors have served and continue to serve with the Ministry of Public Health in many areas of Guyana. It can be said that Guyana stood the course alongside Cuba through the good times and the bad times, and representatives from the two countries were seated close to each other at the PAHO 56th. Directing Council during last week. 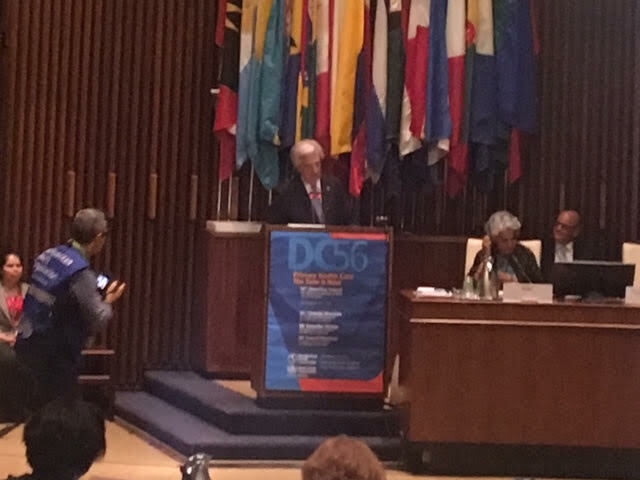 One of the highlights of the sessions which was held on Monday last at the PAHO Headquarters, was the honour bestowed on Dr. Tabare Vazquez, President of the South American country of Uruguay. The Pan American Health Organization (PAHO) named the Uruguayan President “Hero of the Americas”, for the effective tobacco control measures he established in his country. That policy in Uruguay, which spread across to other member countries of the OAS, has saved thousands of people from the negative effects of smoking, including death. In more recent years, Guyana has been stepping up programmes for the reduction of tobacco use, especially among the young Guyanese. On Tuesday last, the PAHO put out a statement on Tuberculosis (TB) in the Americas. The Organization stated that between 2000 and 2015, deaths from the disease fell by 37.5 percent. However, the report is that over a quarter of a million people live with TB in the Region of the Americas, and 24,000 died from the disease in 2017. There has, however, been a dramatic reduction in the instances of HIV in Guyana and the rest of Latin America, due to the efforts and projects by PAHO/WHO. There has also been a great reduction with the cases of Tuberculosis (TB) in Guyana. Fact of the country’s Medical history, is that the West Demerara Public Hospital at Best Village on the West Coast Demerara, was known as the “TB hospital” during the colonial era, since it was exclusively for TB patients. After Independence in 1966, the Public Health Service in Guyana has greatly reduced the number of TB patients and deaths. The Ministry of Public Health now focuses on the reduction and eradication of cervical cancer, with campaigns all over the country, with the issuing of vaccinations, especially for younger females. “Cervical cancer is among the highest in the country”, according the Minister Volda Lawrence, who also spoke of the many programmes by the Public Health Ministry to greatly reduce the disease and save lives. There was a very moving “Letter to the Editor” in last Sunday’s Edition of the Sunday Chronicle, (September 23, 2018). The author of the letter related her journey over years as a victim of cervical cancer, which was one of the top illnesses discussed at the PAHO meeting last week. At the end of the detailed letter, the writer gave the following advice to women and girls; “Gynaecologists who care are needed. Most women don’t know the danger of cervical cancer or the importance of a yearly gynaecological exam (I sincerely did not). That’s why it’s important to share this message. Yearly exams lead to early detection that saves lives.” The entire letter is available for reading, in last Sunday’s Chronicle. While still in the USA, Minister Volda Lawrence held a Town Hall Meeting at the Guyana Embassy in Washington, DC, where she shared with the audience, the achievements, activities and future plans of the Ministry of Public Health. It seems obvious that after all these years of trying to increase the number of professionals [especially nurses] coming in to the profession. There needs to be more focus on how to keep the ones Guyana wants to keep. In the end, it comes don to dollars – whether salaries or working conditions or benefits! Unless professional salaries are on a par with the rest of the Caribbean, there will be no chance of keeping skilled and seasoned nurse in the country.